HP has been around for quite some time. I remember my first laptop was a HP laptop my mom had scrambled cash together to buy me as a graduation gift. The excitement I felt then is the same excitement I feel now being introduced to the new HP Envy x360 laptops that are currently out now. You're probably thinking, "what makes them any different from everybody else?". It's simple! HP Envy x360 laptops are 2-in-1 laptops that you can switch into a regular shh-megular touchscreen tablet within seconds. That's pretty exciting if you ask me! What are the unique specifications? You have so much RAM space to smoothly run your photo/video editing applications, play games, and use various programs all at once. #MindBlown! The resolution of the laptop gives you more color and clarity and not to mention the energy-efficient WLED backlight helps with saving on battery power. Remember I mention earlier the ability to flip your laptop into a tablet? Well, you can do it so easily that it makes it efficient to share information with your audience or presentations with others. Quickly jot down notes and ideas with ease without worry or mess. If I haven't convinced you yet, keep in mind that this laptop turns into tablet you can mark up on while running a millions apps and running of efficient energy. That's simply epic. The END! 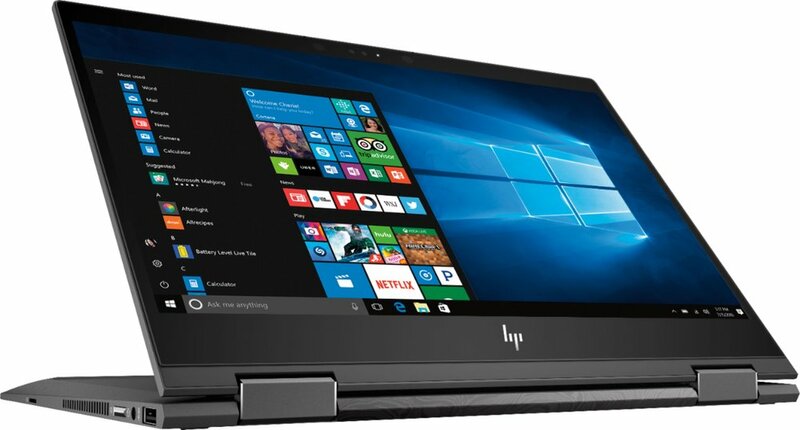 PS: You can also receive $100 off until 7/28/18 on a new purchase of the HP Envy x360. Check it out. Let me know what you think.